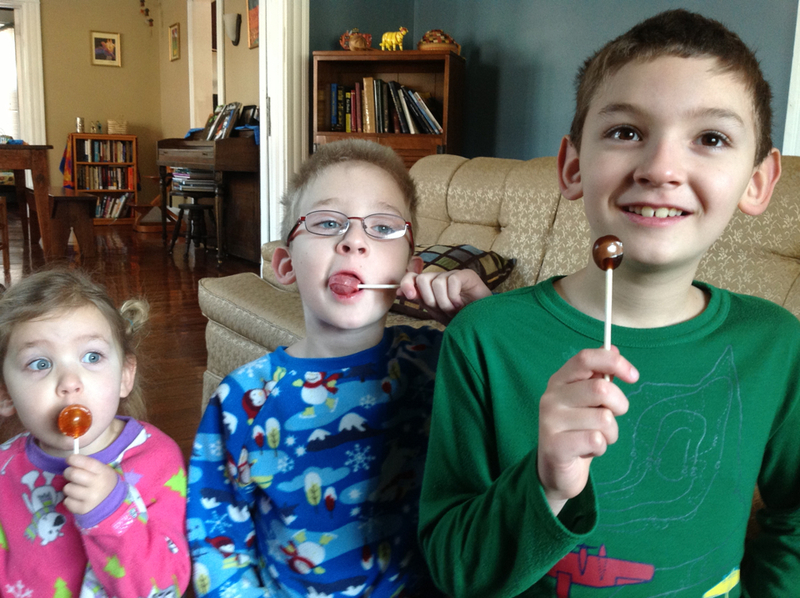 How do YOU get to the center of a Tootsie Roll Pop? As far as I can tell, these catchy Tootsie Roll Pop commercials date back to the 1950s. For those of you interested in watching one of these commercials, try searching for them on Google or you can find them on YouTube. My children got quite a kick out of watching them. Leo Hirschfield is the founder of what is now known as Tootsie Roll Industries. The company was originally named The Sweets Company of America, and began as a small candy store in New York City in 1896. Their first big hit in the candy industry came in the form of the Tootsie Roll. This candy was fondly named after Leo’s daughter Clara’s nickname “Tootsie.” The Tootsie Roll Pop would not make its debut to the public till several years later. In 1931, Luke Weisgram, an employee of the Sweets Company of America, invented the Tootsie Roll Pop. I tend to pick the brown flavor. My favorite strategy of eating this delectable creation is to dip it in water and then lick it. I learned how to do this by watching my mother eat them this way. Dipping the lollipop in water only adds to the flavor. I love the sweet liquid running down my throat! I often find myself trying to get to the center of the lollipop as a stress reliever. However, I almost never lick my way completely to the center of the lollipop. It usually ends in a crunch before this point. So tell me, I’d like to know… Do you have a favorite flavor? Do you have a favorite commercial? How many licks does it take you to get to the center? Do you never make it and end up crunching like me? Or, much to my chagrin, do you not even like them or have you never had one before? Come and take a tour down memory lane with me! Please share your answers, thoughts, and fond memories about the Tootsie Roll Pop by leaving a comment below.